Help us Say “aloha” to the original WWII Heroes while they are still with us! Heroes’ Hearts Inc. has been invited to participate in Anniversary Events at Pearl Harbor, this coming Dec 7. We are currently raising funds to provide for expenses so that we will be able to attend. 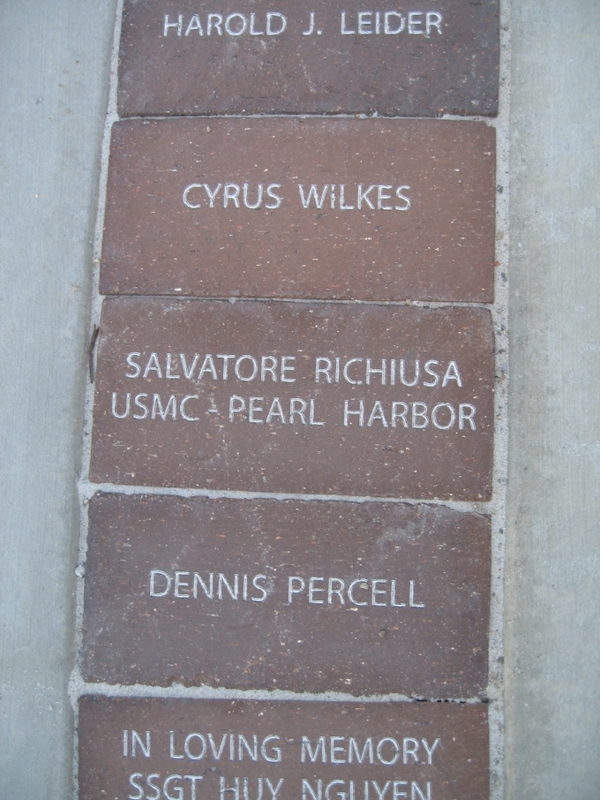 When we achieve this goal, Heroes’ Hearts will give remaining Pearl Harbor Survivors a Heroes’ Hearts bracelet and Companion book (as we did in 2016), during the ceremonies taking place at the Arizona Memorial, as well as participate in additional Pearl Harbor ceremonies in the Oahu area. WE NEED YOUR HELP. Without your support, we have to decline this very momentous invitation. As time passes, we lose more and more of our survivors, so we practically beg of you to help us reach as many survivors as we still can, right now, this year. The opportunity to honor our living Pearl Harbor survivors is quickly fading into history and we are working diligently to accept this honored invitation for 2018. We have been unable to attend past Pearl Harbor ceremonies as hoped. We believe that Sam Richiusa was greatly affected by the Spirit of Aloha (See video) and may not have felt the Two Hearts Beating As One. Instead, we've offered the original Heroes' Hearts® bracelet (made by my father for my mother) to the Pacific Islands Ethnic Arts Museum (PIEAM), on permanent display in Long Beach, CA. Based on the original bracelet, HH Inc. has made exact replicas of the Two-Hearts bracelet with the help of veteran-owned and operated businesses supporting the campaign to “Do Something Good.” These are the bracelets we hope to give to our surviving Pearl Harbor veterans and we request your donations to get us there to do so. (See Video--VETS Program). We have also partnered with private-sector organizations and individuals such as Auschwitz Survivor Ed Hoffman and launched a number of projects to oppose discrimination and prejudice to help any number of heroes, especially those with PTSD. Heroes' Hearts® Inc. has been an official 501(c) 3 tax-exempt organization since October 7, 2016. We appreciate your attention and assistance honoring our WWII vets and Pearl Harbor survivors. As the end of the 2018 tax season is approaching, please seriously consider a recurring donation, made possible at Heroes' Hearts® Inc., or a one time donation earmarked for any approved projects. Please pass this request on to your own contacts. These donations are 100% TAX DEDUCTIBLE and also serve our main goal to DO SOMETHING GOOD. (Donate here).